I’m still in South Florida and while here, I’m thinking of there — my Long Island garden. 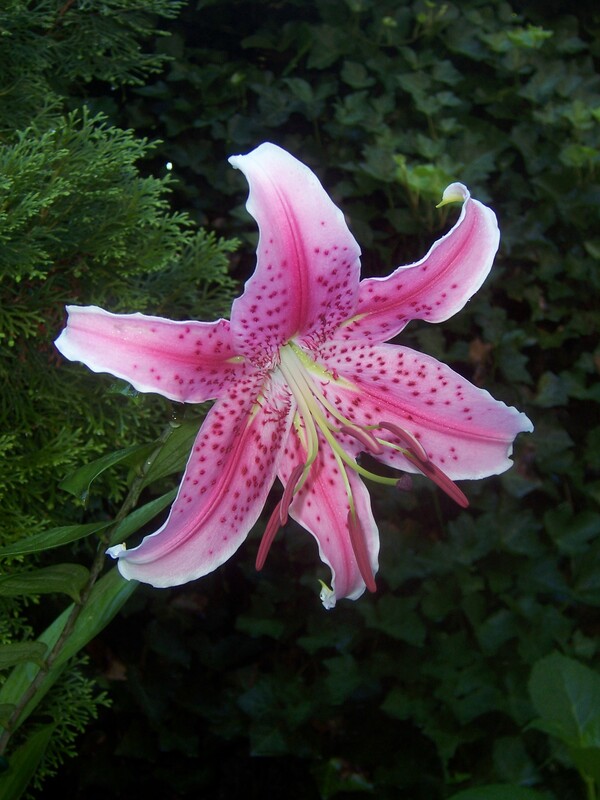 Before Joe and I left, the bud of my Stargazer Lily was setting itself up to bloom. I just know that by now, nearly two weeks since we left, I missed Lily’s grand opening — and divas hate that. So in an effort to make amends with Lily, I offer you this repost. 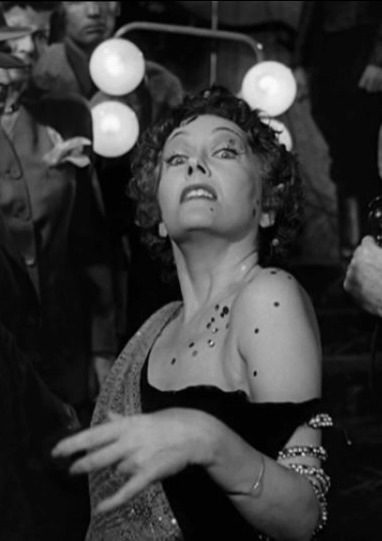 And now, are all of you ready for your close-up? It’s time to get your creative juices flowing for the next post. At that time, Joe and I will be driving home and I will be out of Internet range, so I am leaving the post writing to all of you. Simply put, there will be an amusing photo just begging for a caption. And that’s where all of you (and your friends and families and strangers) come in. Just comment your caption. This isn’t a contest — it’s just a chance to make others smile and maybe even laugh out loud. See you soon! I’m impressed with your idea of photographing the opening of a flower, it sounds hard to do, but so fun to be there in the moment! My favorite lily is my Casa Blanca with pure white flowers. It’s one of those things I dream about — all I need is time. And you’re Casa Blanca is a beauty! Beautiful Lily! Hope you are both having a funky time! 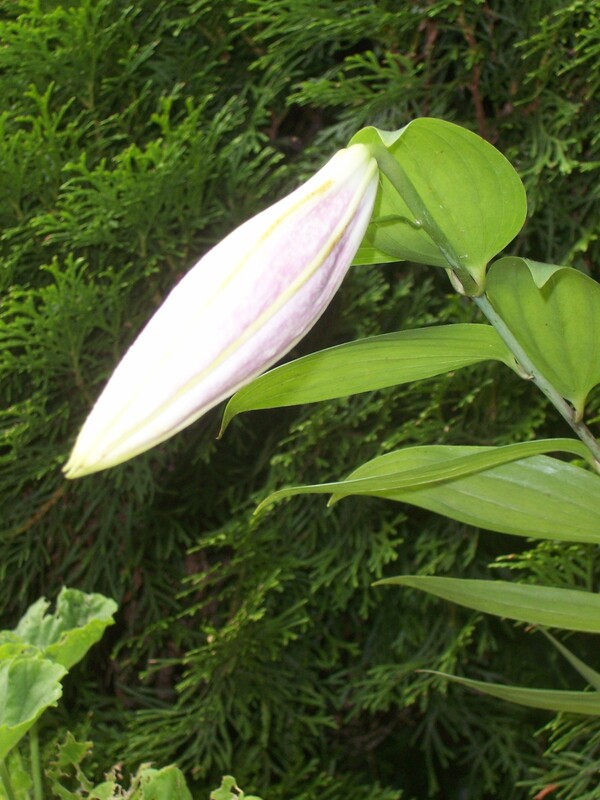 Is this that wonderfully fragrant lily that is often used in floral arrangements? Hello Ann — yes, this is a very, VERY fragrant flower. It can even be overpowering, but it is spectacular to see. My divas are trumpet lilies African Queen. I have several scattered in the garden and when they bloom it’s such a royal party, all those queens. The parfume could be somehow disturbing to me too, too strong. Every garden needs its divas — and your African Queens are gorgeous — but I know what you mean about the smell. It can be a bit much! How do you do it Kevin? I know you are missing your garden and then when you are home you have to miss your Florida garden. LOL! Are you a nervous wreck? LOL! Kevin, I learned an important lesson many years ago from a botanist friend of mine — very fragrant flowers often bloom at night. Apparently, this is because their primary pollinators are night-flying moths who find the nectar they are seeking by following the scent rather than by looking for the kinds of bright color patterns that attract daytime pollinators like bees. Many of my fragrant daylilies begin to open just a tiny bit in late afternoon and then are fully open when I get up in the morning. I guess next year, you’ll have to camp out with a tripod and good flash to catch your diva in the act.